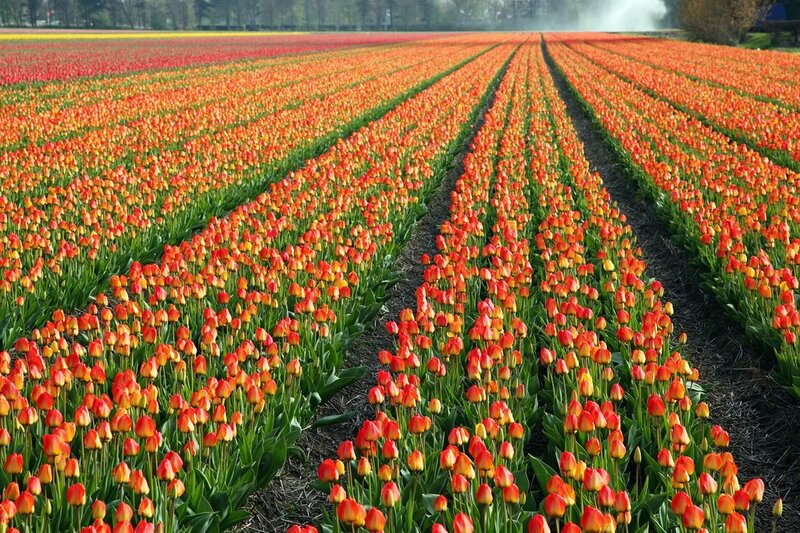 The Netherlands is famous its flowers, mostly tulips. Tourists from all over the world visit the country to admire all the colours and shapes. The Netherlands is a great destination for a spring-time getaway, even if you're not that keen on flowers, as Amsterdam is prettiest in spring time (I think so, anyway!). Here is where to go to experience Amsterdam's best spring-time nature to the fullest. The main draw for tourists in the spring are the flowers, especially the fields of tulips. If tulip fields are on your bucket list, you should visit the Keukenhof. This flower park is only open during spring, and this is where you'll find the sea of colourful flowers you see on the postcards. It gets millions of visitors every year. The bus ride to the park takes about an hour from Amsterdam and will take you along the flower fields in the region. Make sure you get a window seat! If you want to stay in the city of Amsterdam, there is still enough to see if you are looking for flowers, and all found nearby your Amsterdam hotel. Visit the floating flower market at the Singel for example. You can buy a flower or plant to take with you, or even some seeds or flower bulbs. Another option is to visit the Hortus Botanicus Amsterdam, the botanical garden. The garden has plants and flowers from all over the world in their greenhouses, but will also show what the Dutch are known for during spring: tulips. Of course, you could also wander around the city. Many Dutch people have beautiful flowers in their gardens or on their balconies! Most of the Dutch love spring (except if they have hay fever like I do...). Dutchies tend to go outside to soak up the sunlight as much as they can. Two of the most popular activities to enjoy the sunshine are relaxing in the park and having a drink at one of Amsterdam's many terraces. Visit the local supermarket, get yourself some drinks and food and have a picnic at one of the parks. 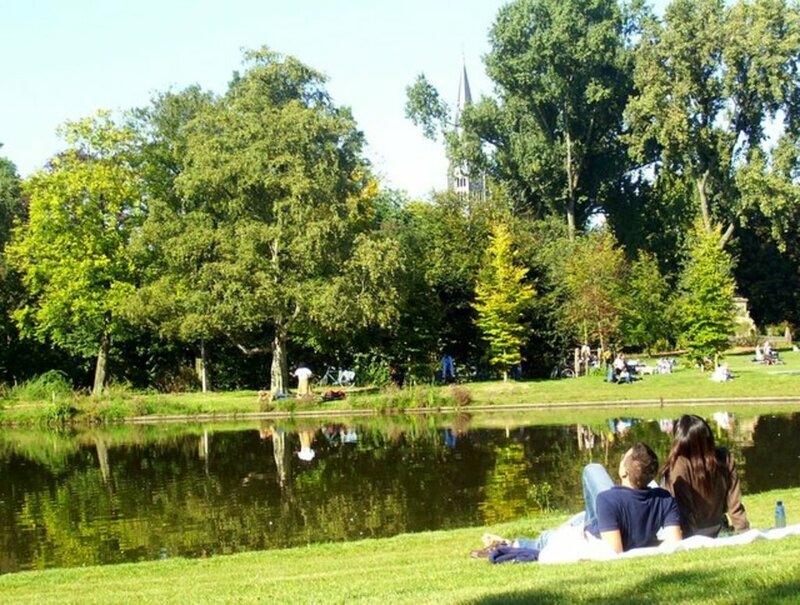 The Vondelpark is the most visited park and is located in the city centre. Bring a game to play! You might even get to know some locals who want to join your game. You will find many terraces at Leidseplein or Rembrandtplein where you can order a drink and soak up some vitamin D. However, locals try to find other places to hang out at, especially when the city gets busy with the great weather. Go to the Pijp or Jordaan area or visit Hanneke's Boom for example, next to the Central Station. They have a lot of seats on their (roof) terrace and a great view. In the North of Amsterdam, Pllek is very popular. 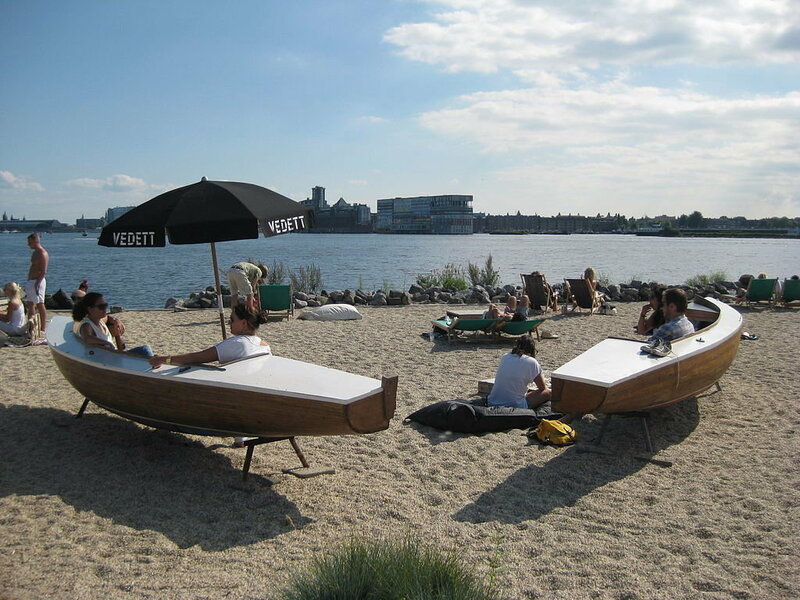 They have their own beach right next to the river Ij. Take the ferry from the Central Station and it is only a five-minute walk to Pllek. The best part of spring is obviously the baby animals: little lambs, bunnies and hatchlings. 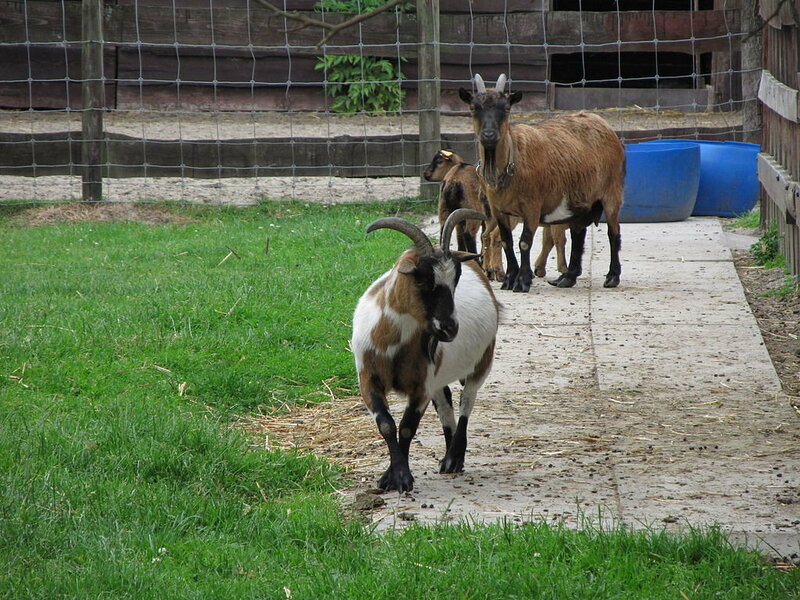 Admire all the new life of spring while visiting a petting zoo. There are many in the city, like near Westerpark. If you get lucky you may get to feed them! Spring weather is a great time to hop on a boat and cruise the canals! You could opt to buy a ticket and ride along an organised canal cruise. 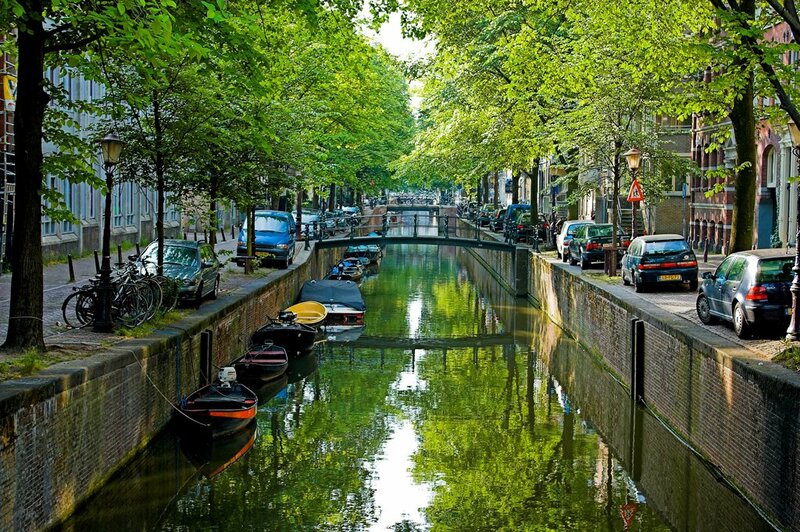 You will pass by some highlights and get an explanation of the history of Amsterdam. On the other hand, you could rent a boat with some friends and cruise on your own for a few hours. Buy some snacks and drinks and just enjoy! It's the local way. What are you going to do during your spring visit to Amsterdam? Image credit: Lies Thru a Lens. 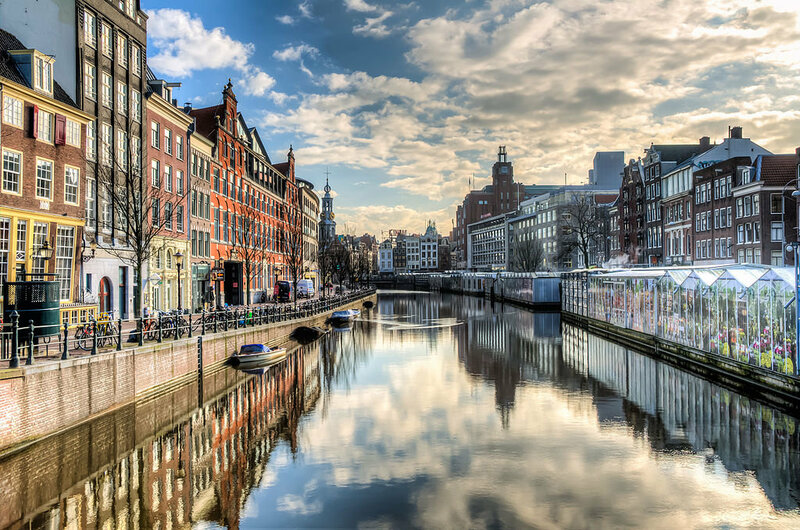 Check out our Amsterdam hotel deals to start planning your spring-time getaway.